Foot health contributes to our balance, our posture and our overall wellbeing. Try these foot exercises and learn how our feet are connected to every other part of our body. Whether your job keeps you on your feet all day or if you are sat at a nice cosy desk, our feet are extremely important to our daily lives as they are our main mode of transport. If you are a sporty person you will be well aware of the importance of foot health and how your feet contribute to your success in the gym or on the track etc. Not many of us have considered foot exercises for foot health! Have you? These are great for the flexibility and overall mobility of your ankle and your whole lower body. These exercises work particularly well for metatarsal stress fractures and are recommended as a warm up/cool down exercise before and after your workout. This actually feels great. Start on your tippy toes and bend your knees over your toes, bring your hips forward and your tailbone down then slowly bring your knees in, to touch each other, while staying on your tippy toes. Try 15 -20 reps. This is a great exercise for foot health that also works your glutes, inner thighs, and hip flexors. Another simple & easy exercise to promote good foot health. 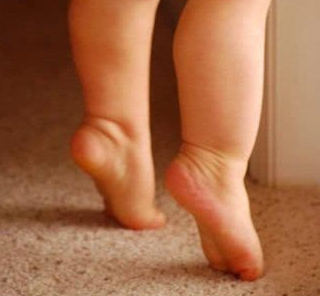 Stand on your tippy-toes once more, stand nice and tall and walk forward for about 20 seconds, stop & repeat 3 times. So easy, it’s child’s play. Pencil pickups- “picking a pencil up with your toes” is a great exercise to help you strengthen your feet. Pencil pickups work the muscles that you need for toe dexterity/toe movement and is a recommended foot health exercise for women who wear high heels regularly. This exercise feels amazing especially after a long day on your feet. You might need to balance yourself beside a wall for this exercise. Simply roll your feet over the ball from heel to toe while applying slight pressure, you should feel the stretch. You can hold the ball under where the foot is tender for 20 seconds with a little extra pressure, this will help to relieve any tension. Our feet are connected to every part of our body and good foot health is vital. These tips are intended to be used as a guide only. You should consult your chiropodist/podiatrist if foot pain persists. Constant foot pain can be a sign of plantar fasciitis, please see our Plantar Fasciitis if you suspect that you are suffering from this condition.